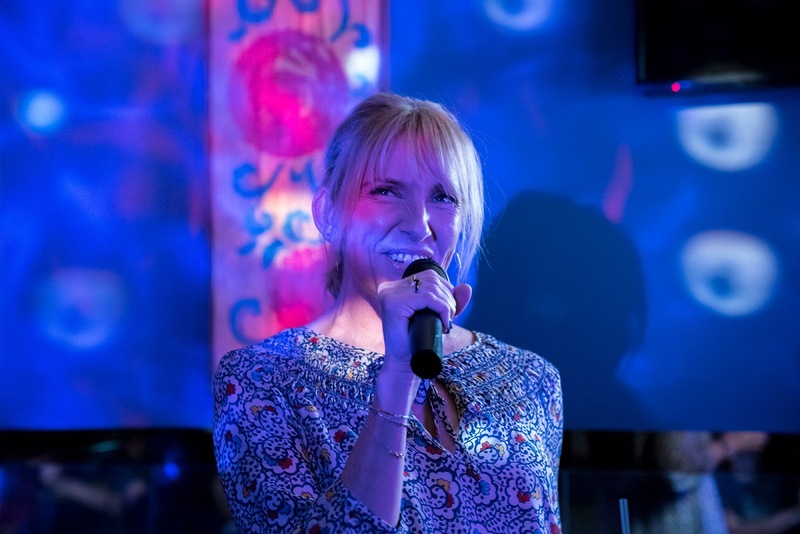 As a young woman prepares to leave New York for medical school in Los Angeles, her father dreams of stardom when a song they wrote together gains traction on Spotify. There is a time in every parent's life where their child reaches an age where they prepare to go off on their own and brave the wilds of the world without them. Some parents struggle with this more than others. 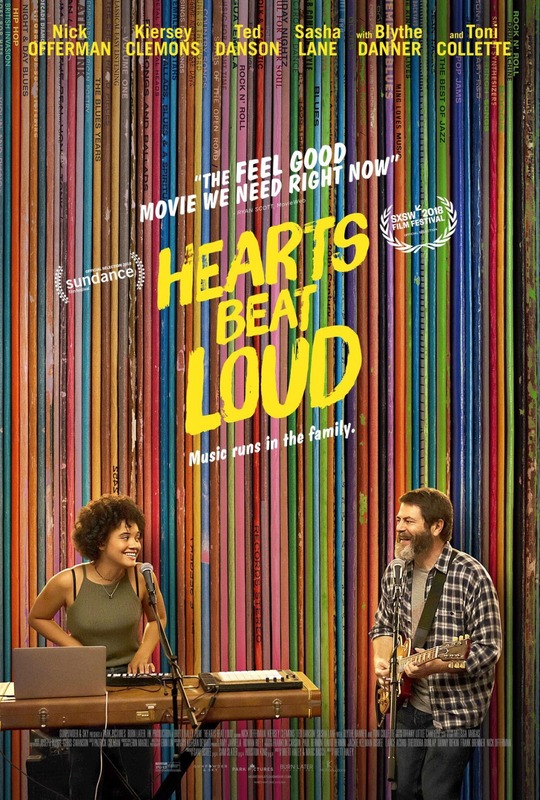 "Hearts Beat Loud" is directed by Brett Haley, who has directed movies like "The Hero" and "I'll See You In My Dreams." Haley also wrote the film along with his regular collaborator Marc Basch, who helped pen the above screenplays. 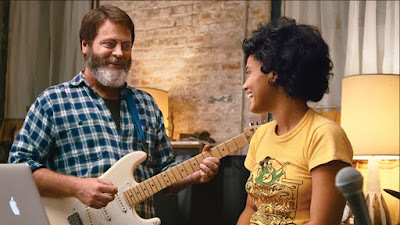 The story is about an immature father and dreamer named Frank (Nick Offerman) and his much more realistic daughter Sam (Kiersey Clemons), who acts like the adult in the relationship. Frank runs a record store in Red Hook, and his daughter is spending her last summer at home before going into pre-med at UCLA. The two have always bonded over music, and Frank often rips Sam away from her studies for a weekly jam session. Frank hears a song Sam has been writing and demands they record it. After it is recorded, he submits the song to Spotify without telling her. The tune gains traction on the indie rock mix next to iconic bands like Spoon and Iron & Wine. This reignites Frank's dreams of rock stardom. He just has to convince his daughter that it is a worthwhile pursuit despite her hesitation to join a band with her dad. There are a lot of movies about people giving up their much more practical approach to life to chase their dream. This movie is sort of the opposite of that. It's about being rational and not giving up the bird in the hand that's worth more than two in the bush. It is also about a relationship between a father and daughter and shows a different type of coming-of-age story centered around their dynamic. It is not about this crazy life-changing moment for Sam as she's on her way to college, it's about the life-changing moment Frank is about to have when Sam leaves New York and moves to LA for school. Frank does a lot to attempt to hang onto the past. He clings to his failing record store, holds onto his dreams of stardom, and doesn't want to let go of his daughter as he fears what the future will bring. This is a simple, very understated slice-of-life story with a lot to like about it. The acting is excellent. Nick Offerman and Kiersey Clemons are wonderful together as father and daughter, and the two of them have fantastic chemistry. There are a few humorous moments that made us chuckle, mostly due to Offerman's dry wit and delivery. This is a movie that revolves entirely around music. 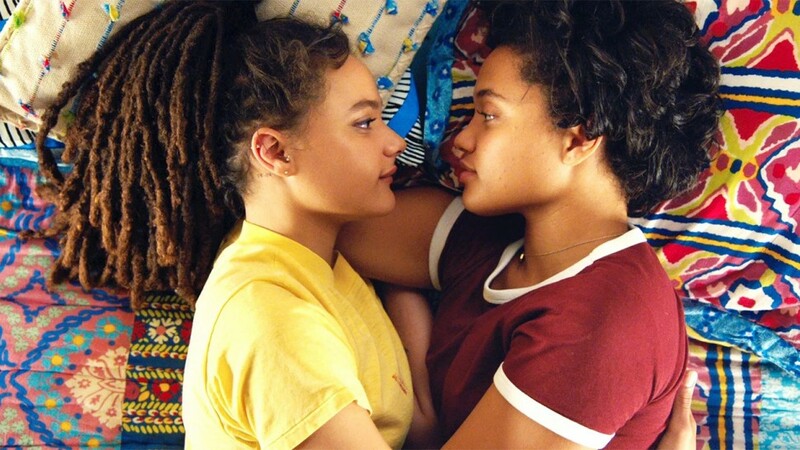 I loved the songs in this film, particularly the ballad Sam writes for her girlfriend Rose (Sasha Lane) called "Blink (One Million Miles)." BigJ disagrees. He didn't like the songs all that much. They weren't his style. Either way, it is impressive that Offerman and Clemons played their own instruments and sang their own songs, which makes the film that much more believable. We will admit, for all the good there is here, the story is a bit lacking. It doesn't have a tremendous emotional punch, apart from one or two instances. The story is familiar and is one we've seen before. Still, not many coming-of-age films focus on a single dad and his daughter, and we appreciate seeing a potential "empty nest syndrome" from a father's point of view. 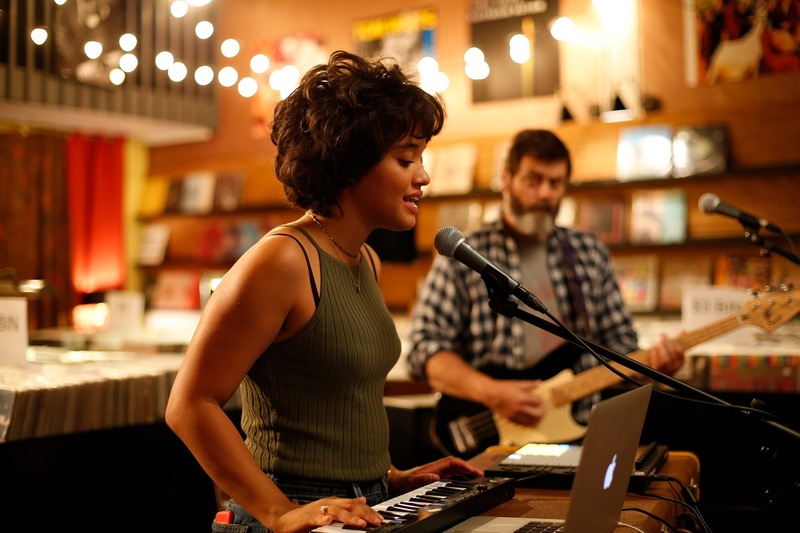 In the end, "Hearts Beat Loud" is a solid indie drama that is worth watching for the performances and the music. Just be aware, it isn't super memorable.